Be conscious of open doors and windows. Sometimes an open window allows a cool breeze and eliminates the need for a fan. On a hot day on the hot side of your house, however, it may just be adding more hot air. If it’s a shady window and bringing cool air, leave it open. If it’s a hot breeze, shut it. Especially if you don’t have energy efficient windows, keep your shades drawn on the sunny side. Another alternative is to add solar screens or window film. Solar screens will help prevent the sun’s heat from entering the house even when you have the window open, while window films only work with the windows closed. Plant shade trees to help protect your house and your air conditioner. Even considering the cost of the trees, planting strategically now will easily provide long-term savings for you and your family. Avoid using hot appliances during the hottest part of the day. Try to do dishes and laundry in the mornings and evenings if possible, and consider alternatives to using your stove and oven, such as a slow cooker, microwave or rice cooker to feed your family without heating up the entire house. Use ceiling fans or floor fans instead of your air conditioner. Much of the time, just getting the air moving will help keep you comfortable, and for a much lower cost than running the AC. Turn off lights when not in use, especially if you’re using incandescent lighting. Incandescent lighting is the most inefficient lighting available today, turning much of the energy it uses into heat instead of light. If you’re ready to make the switch to more efficient lighting, consider swapping those old, inefficient bulbs to LED lighting. LED light bulbs save money in two ways: they use less energy, and they don’t produce heat. This means you can have the lights turned on without making your air conditioner work harder. 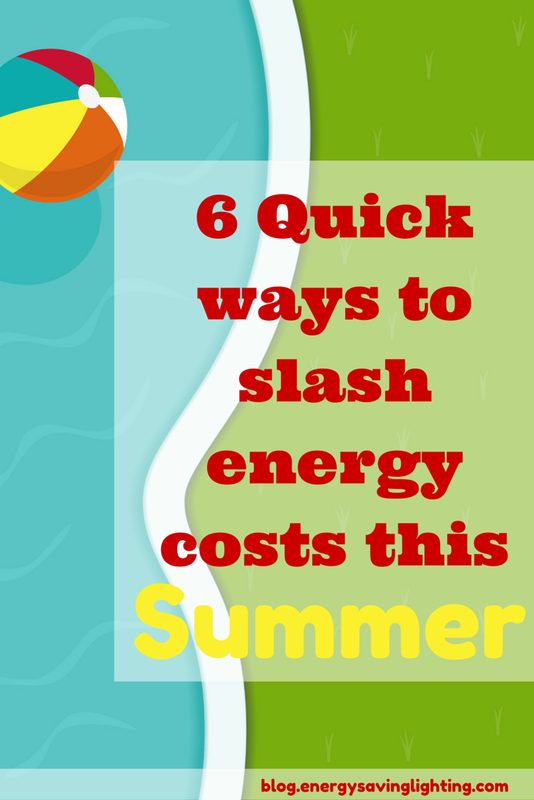 Following some or all of these tips will help keep you cool this summer without blowing your budget. Have tips you want to share with other readers? Leave us a comment below!